Budgeting for the holidays is hard and it takes an iron will to not shop impulsively. Yesterday, I walked into Target and spent almost 20 minutes in the dollar aisle, mustering up the willpower to only fill my cart with the Ziploc bags I came to buy. How do you manage this time of year? What does your budget look like as you approach the holidays? 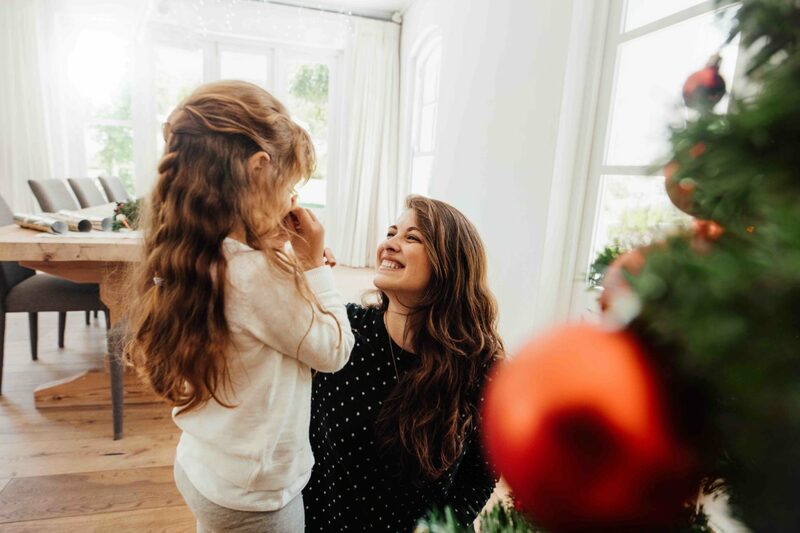 Take the burden off of your finances and rely on the entirety of the Christmas season to provide delight to your children. My hope is that while I’m hauling my tree to the curb and my week-old resolutions are slowly dissolving, I won’t be knee deep in debt and broken plastic toy parts. Here are a few tips I’ve gathered from friends that I’m excited to try this year. Spend an hour to do a giant “brain dump.” Create a list of all your possible holiday spending. Stationery and stamps, decorations, wrappings, holiday parties, teacher gifts, any extra clothes, crafts and baking and of course, gifts. You name it, write it down. Organize your list economically and by priority; propose a budget for your categories and order your expenditures by importance. With everything written down, you can visualize your spending ahead of time and curtail extra spending on insignificant categories. 2. Make Your List, Check it Twice! This is advice for a beginner, I know. But have I ever actually followed this advice? No, I have not. I walk into stores and spend money because plaid pillows and snow globes! Having a list and actually sticking to it will help me avoid every fir-scented candle and holiday hand towel. If the updated mantel decor is not on my list upon first and second glance, then it doesn’t belong in my cart. One year, one of my friends discovered an artist who makes silhouettes and emails the images for the customer to do all the printing. So, with one purchase, my friend made all the grandparents beautiful prints of her children, for the price of one, with permission from the artist. Genius. One year, my friends did a gift exchange with items we owned and loved, but didn’t use anymore. I still use the spice rack that I unwrapped after offering up my once-used, heated (and cleaned) foot spa. That was one of my favorite gift exchanges, and I didn’t spend a dime. Last year, my son had his heart set on a dinosaur that ate green ping-pong balls and then pooped them out while belching from its tiny speakers. This barely-used purchase still haunts me, and this pooping plastic could easily send me into a downward identity crisis, wondering, what type of parent have I become? Things have to change this year. I have been advised to talk to our kids about needs and wants, and to help them see certain values in gifts. Talk about what they currently enjoy and use daily, what hobbies consume their time and what toys add value and creativity to their play. Think outside the box about gifts; tickets, experiences, lessons and even museum or zoo memberships are things children, if directed, can enjoy receiving. And then wrap everything. Wrap individual packs of gum, wrap a stack of 20 dimes, a small notebook, the tiniest of things! Wrap, wrap, wrap. When you ask your children to be mature and open-minded in their gift requests, give them the simple delight of unwrapping the little stuff. I’m always surprised by how much my kids receive; vacation time with working parents, special holiday desserts, memorable traditions, school parties and giving to others—these things all add to the experience of a fulfilling holiday. A plethora of gifts is not the point. Take the burden off of your finances and rely on the entirety of the Christmas season to provide delight to your children. RELATED CONTENT: Who Does Christmas Say You Are? So, take a collective breath with me. We have what it takes to walk into a store and leave with just paper towels and laundry detergent. 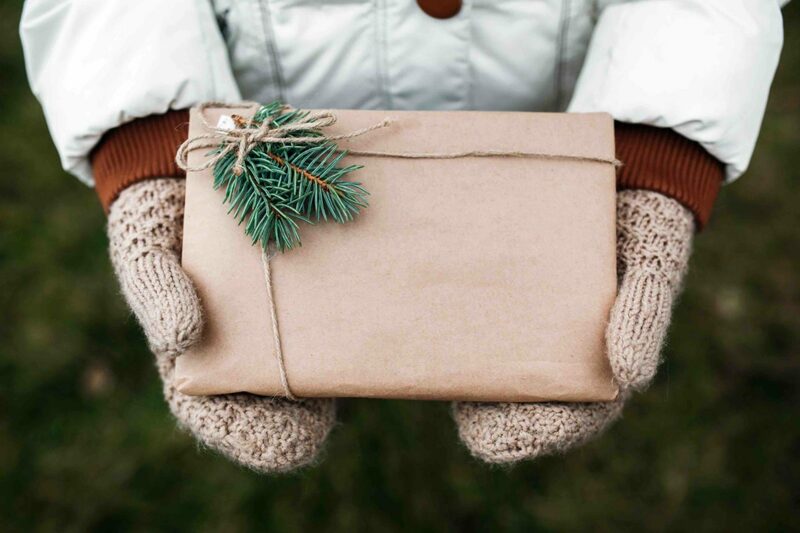 We can have a relaxed and mindful holiday shopping season, experience the joy of giving gifts and be rewarded with a peaceful January credit card statement. Joy to the World!